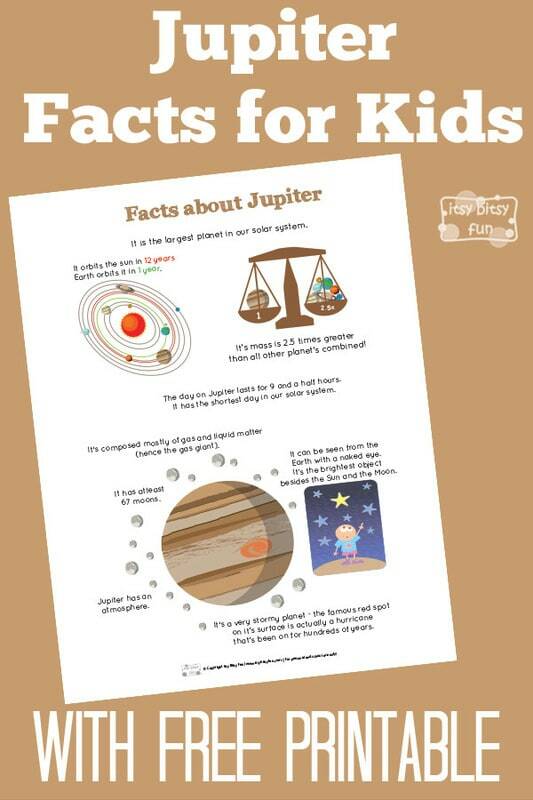 There are so many interesting facts about planet Jupiter. 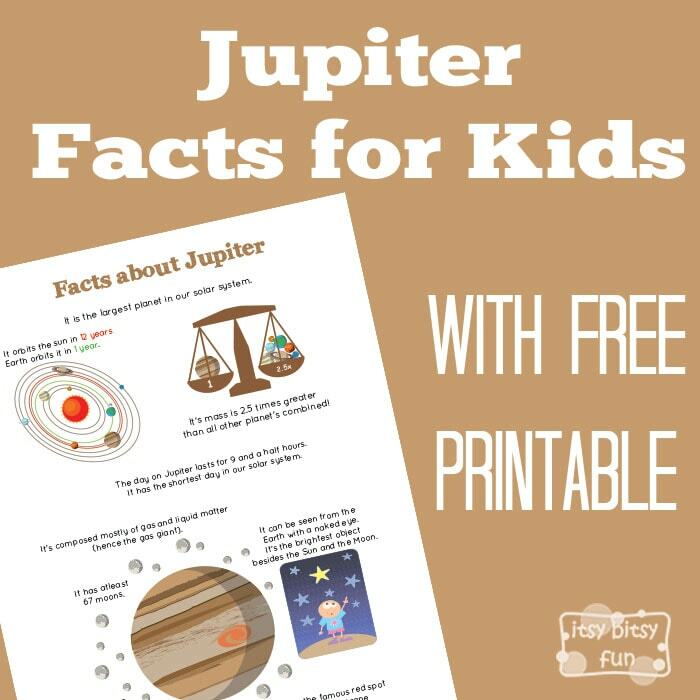 Let’s learn with facts about Jupiter for kids! We went through the solar system facts for kids the other day and now it’s time to take a closer look at the red planet. Ah the gas giant. Do you know how hard I laugh each and every time I heard that as a kid? This planet became the center of many kid jokes in our neighbourhood (only a few probably made sense, but we didn’t care they all were awesome). Let’s learn something the gas giant shall we? It’s mass is 2.5 times greater than all other planet’s combined! It orbits the Sun in 12 years! The day on Jupiter lasts for 9 and a half hours – it has the shortest day in our solar system. It’s a very stormy planet – the famous red spot on it’s surface is actually a hurricane that’s been on for hundreds of years. It’s composed mostly of gas and liquid matter (hence the gas giant). It can be seen from the Earth with a naked eye (the brightest objects besides Sun and the Moon). It has at least 67 moons.